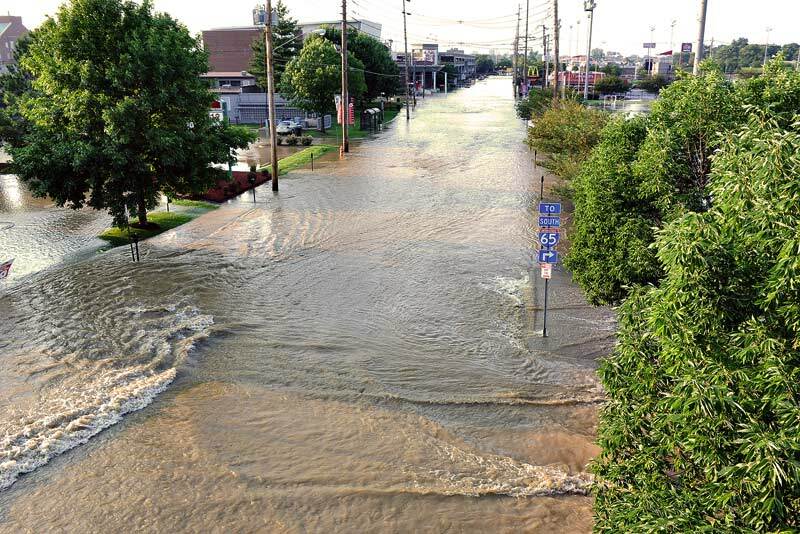 In the past few years, Louisville has been plagued by several large water main breaks around the city. Often a result of aging infrastructure in older, more central parts of the city, these incidents are merely a warning of the major issues we will face in coming decades as our sprawling suburbs age. A massive break near U of L’s campus several weeks ago left a large portion of the population without potable water for several days. Yesterday, a smaller main ruptured in Audubon Park. Some of the water infrastructure in South Louisville where the main broke is nearly a century old. In the next several years much of this infrastructure in Louisville’s central neighborhoods will need to be replaced or risk more ruptures, leaks, and water outages. While this is a looming and costly undertaking, it pales in comparison to the task of similar upgrades in the rapidly aging inner suburbs, followed eventually by the inevitable obsolescence of the water infrastructure in the most sprawling, far flung suburbs of the past two decades. Older, typically denser neighborhoods, are more easily served by public utilities with significantly lower infrastructure burdens because the same length of piping can serve a larger number of homes and residents. Meanwhile, suburbs are significantly more spread out and therefore require far more physical infrastructure to provide water to the same number of people. The American Society of Civil Engineers has given the US’s current drinking water system a D-, based on the state of its degrading infrastructure. Much the infrastructure in need of repairs or replacement was put in place shortly after World War II. Though this coincided with the first major push to the suburbs, the amount of infrastructure built in the first decade after 1945 is miniscule in comparison to the expansion of our metro areas in the following half-century. The EPA has estimated that repairs and replacements needed today would cost our country upwards of $160 billion dollars. If we’re concerned about spending levels today, we better hope the economy is many more times more productive in 30 years than it is today if we’re to deal with the onslaught of repairs that will come due when our ticking suburban timebomb finally goes off. There was a major line water main break on Crittenden Drive at the railroad track (Old Huber Tire,soon to be a bar)about a 1/4 mile from the Eastern Parkway break a day before this break and I feel that this line is part of this water line curcuit. There is still gutters filled with sediment on Crittenden Dr and the complete parking area was washed out. Sounds like a major line pressure increase, and a bypass failure that hit on any weak spots – new circulation pumps on line?